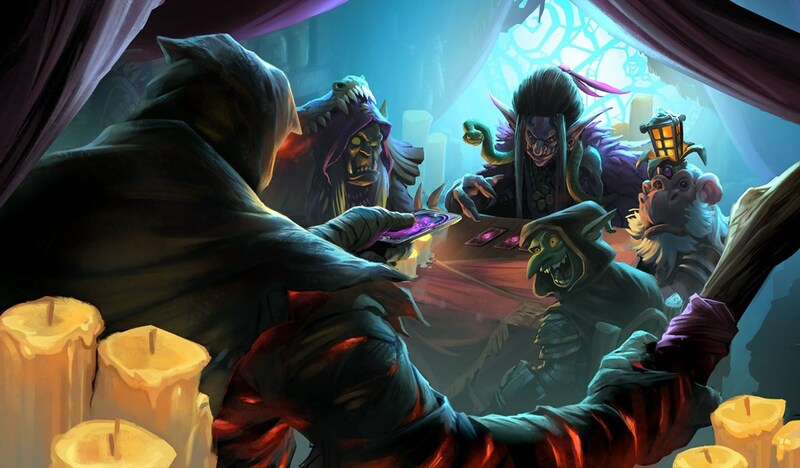 Blizzard continues to roll out cards in time for the release of Hearthstone’s Rise of Shadows expansion. This time, Hearthstone fans were expecting a brand-new Millhouse Manastorm. That’s sadly not the case—Eager Underling is still very much a Gnome and an angry one, too, but he’s not quite Millhouse. Eager Underling is a four-mana Warlock minion with two Attack and two Health. When he dies, his Deathrattle is activated and he buffs two random friendly minions with +2/+2. He might be a disappointment to some, but Eager Underling is still a nifty card. He’s similar, in a sense, to Fungalmancer. He gives the all-important boost of stats, but he’s slower in play. 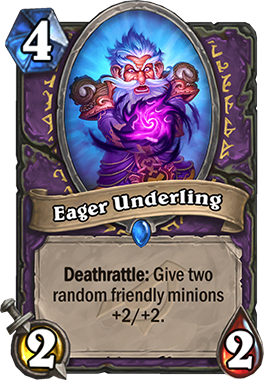 Eager Underling will be a card that has the potential to work well in Token Zoo decks. He’s slow, but in order to get control of the board, he could intentionally be killed off as soon as he enters the fray. All in all, he has the value of a 6/6. That’s definitely not bad for four mana. You’ll have to wait to see how he plays, though. He’ll be available when the Rise of Shadows expansion is released on April 9.